Stock car version of the 1956 300B. Tim Flock drove it to victory numerous time in 1956, making himself a legend in the process. 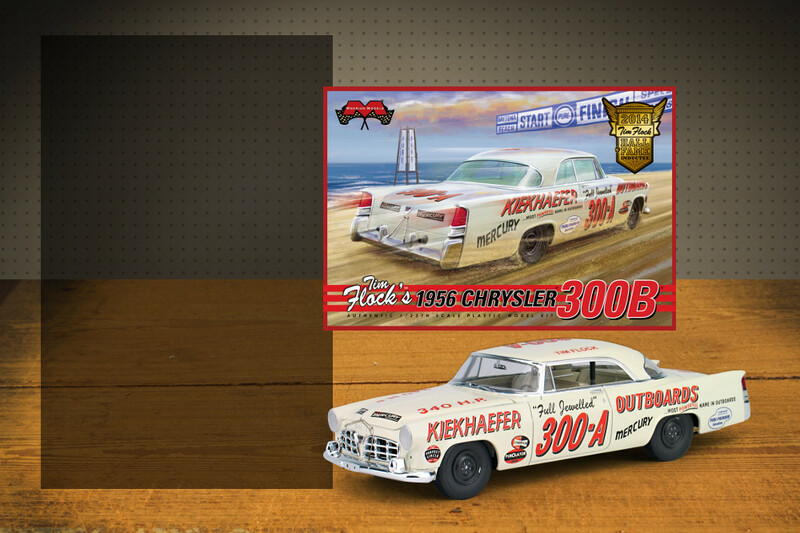 Extra parts and decals included to replicate the stock car version, 1/25 scale. This will be a limited run, number of kits to be announced.